A small server from our Scripted Marble collection, this pretty piece can be used to present chocolates, petit fours and other small treats at your celebration. 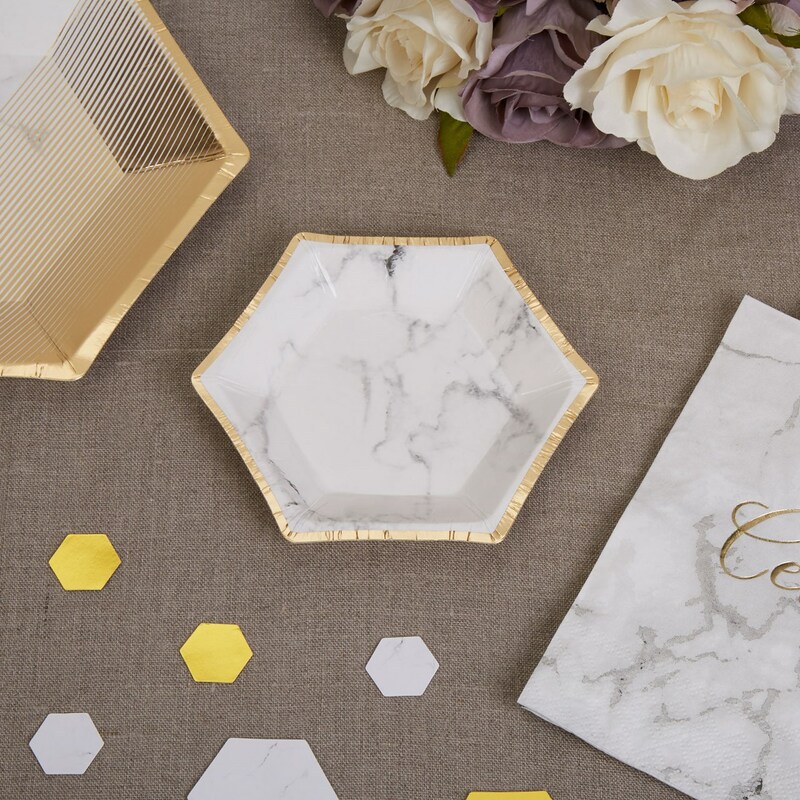 Featuring a stylish hexagonal shape and marble effect design, the plate makes a sophisticated addition to your party table. This small plate is part of a trio including a medium and large version. Each pack contains 8 Small Paper Plates, size: 125mm.